This *NEW* exhibit tells the story of Newfoundland and Labrador’s salt cod fishery through a look at the places and spaces that supported this way of life across the Province. This exhibit describes how stages and flakes were used to process salt cod and includes photos and genealogical information that traces the history of fishing stages in Winterton back to the early twentieth century. From the umiaks of Labrador’s Thule people to the longliners of Newfoundland’s commercial fisheries, Before Fiberglass displays the role of the wooden boat in Newfoundland and Labrador’s history, economy and cultural way of life. 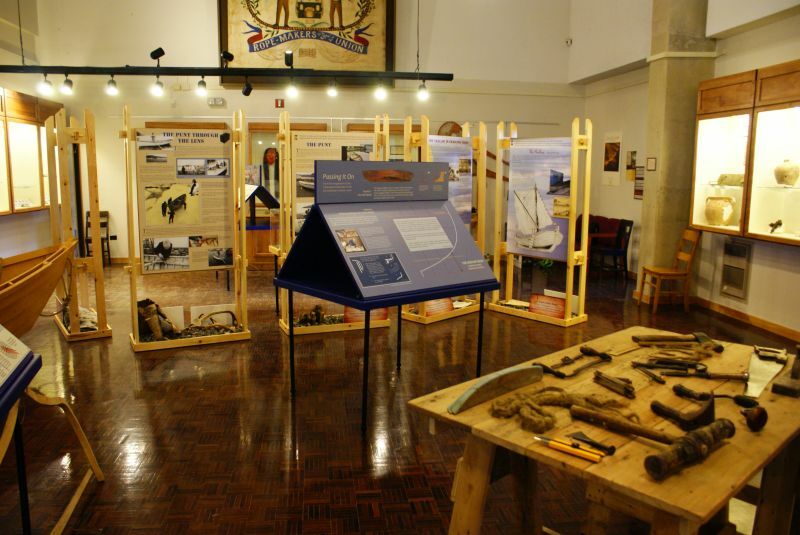 Designed to tell the story of wooden boats in our province from prehistory to today, this exhibition is enriched with historic photos, art, stories, poems, songs and artifacts. Accompanying Before Fiberlass: Wooden Boats of Newfoundland and Labrador, the story of Newfoundland ‘s humble wooden boat is enhanced with full-sized boats and models that illustrate the many types of boats that have shaped Newfoundland and Labrador’s history. 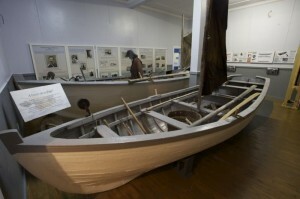 Visitors can see traditional inshore fishing punts and learn about the lives of boat builders in our province. Additional artifacts reflecting traditional fishing methods and our maritime history can also be found throughout the Museum. 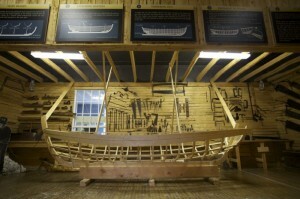 In our Boat Building Room visitors will learn how boat builders designed and constructed their wooden vessels. 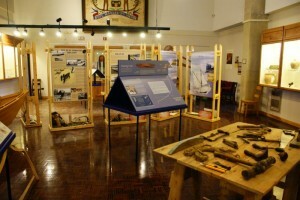 Our display of traditional tools found alongside a boat under constructions demonstrate the various stages of boat construction and the skill required to complete the task. Visitors can test their own skills by rolling oakum and using a caulking iron and mallet to fill the seams between planks, a traditional method used by Newfoundland and Labrador boat builders. In our Boat Shed, the smell of fresh wood shavings fills the air. Watch as traditional and contemporary boat building methods are used to craft the small wooden boats of Newfoundland. Visitors have the opportunity to talk with our resident boat builder and interpretive staff as they work. 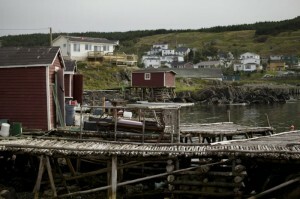 The second floor of the museum showcases life in a fishing community. 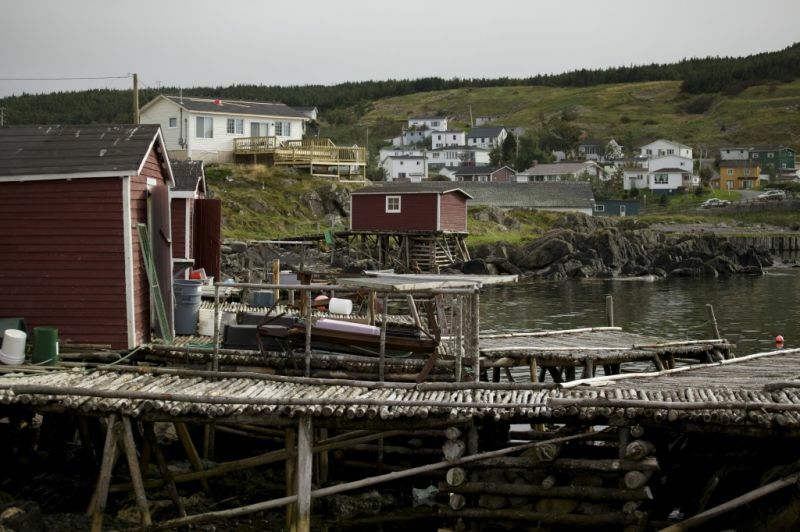 Here you will learn the stories of what it was like to grow up, live and work in one of Newfoundland’s fishing communities. 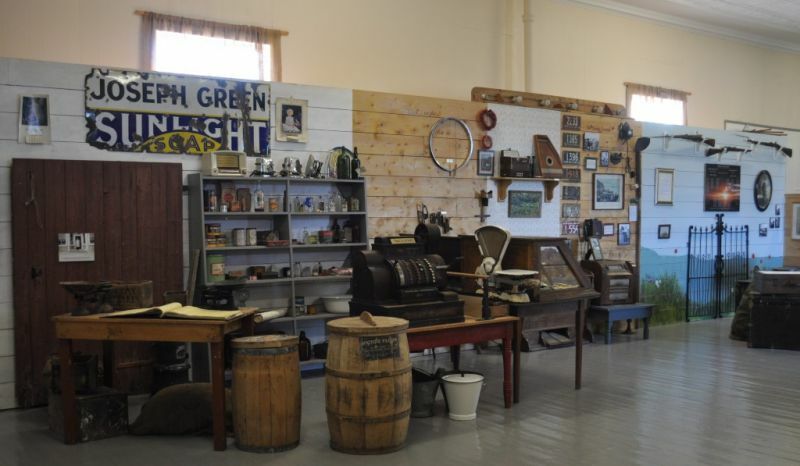 Displays focus on agriculture, coopering, hunting, school life, and domestic life in an outport community. Visitors are encouraged to take a walk along our Heritage Walking Trail to enjoy local heritage buildings, historic fishing stages, a traditional root cellar, and the natural landscape. 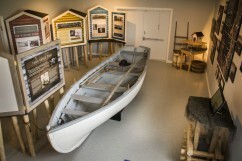 This online exhibit was created in 2003 by the Winterton Boat Building Museum, the predecessor to the Wooden Boat Museum of Newfoundland and Labrador. 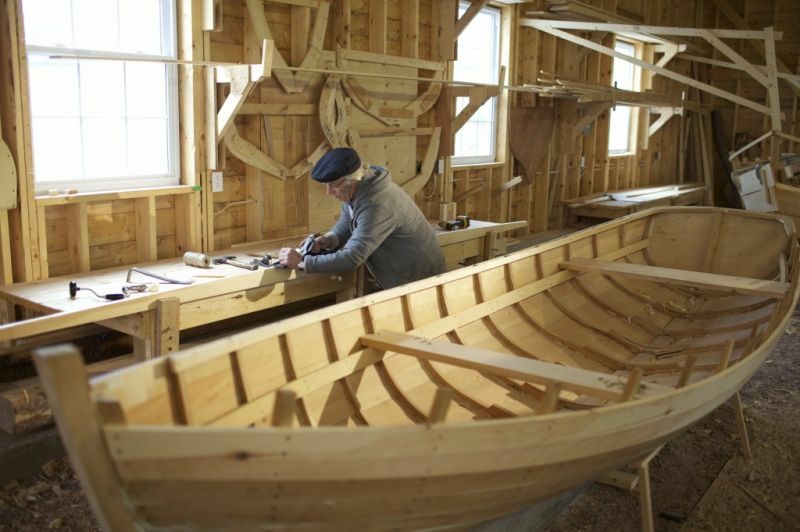 It describes traditional wooden boat building practices in the community of Winterton, NL.